Recently, I have become obsessed with coconut milk. Not only is it super healthy because it’s high in Vitamin B12, Vitamin D, and Magnesium (and surprisingly low-calorie, too! ),but it’s also a great dairy-alternative. Coconut milk is creamy with a hint of sweetness, so it tastes like an indulgent treat. I can’t help but gulp down glass after glass of this stuff. I drink it plain, put it in my coffee, and even bake with it. 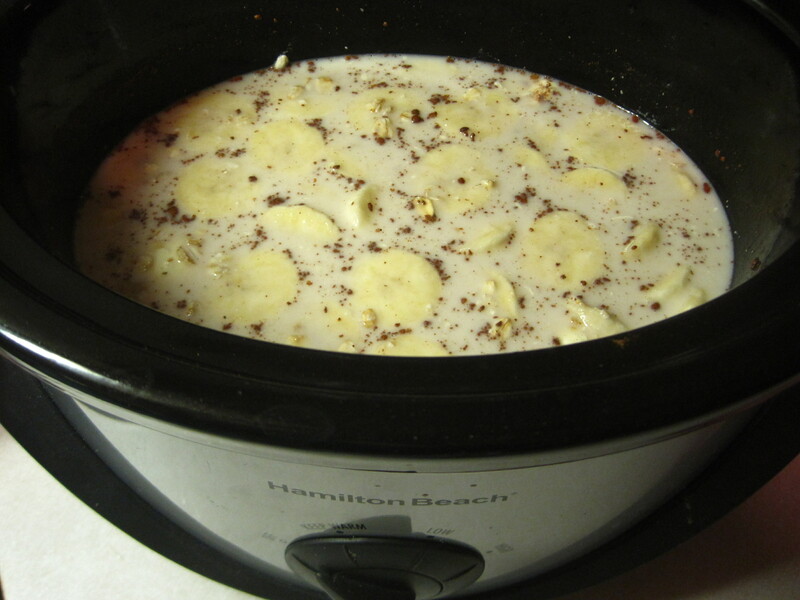 So when I came across a slow cooker oatmeal recipe that uses coconut milk, I knew I had to try it. The best part about this recipe (aside from the use of coconut milk): It takes about 5 minutes to prep before you to go to sleep, and then you have a hot, tasty breakfast waiting for you when you wake up in the morning. This oatmeal is perfect for an easy weekend breakfast if you have a busy day ahead of you, it’s great for a lazy day off of work, or it’s easy to take to work for a yummy breakfast on the run. Another perk? 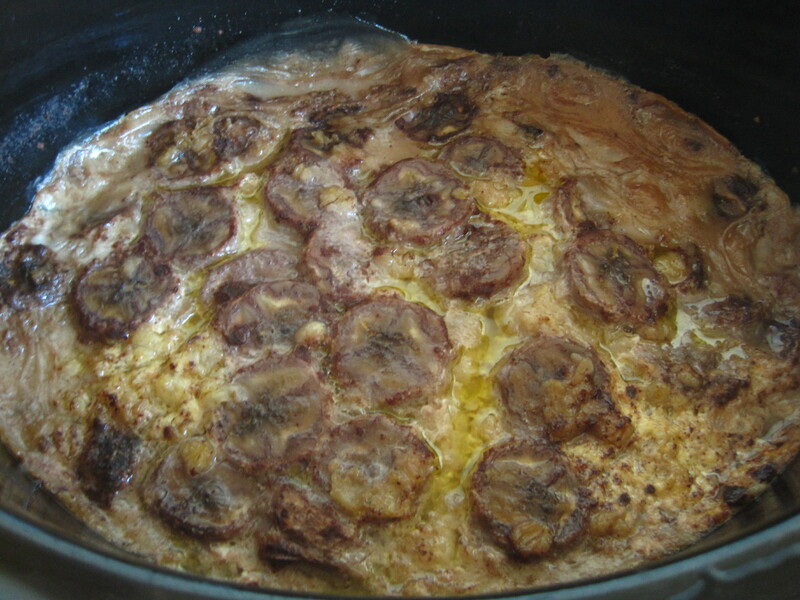 It’s another way to use up extra bananas that I always seem to have in my kitchen. So eat up and enjoy this guilt-free indulgent treat. Surprisingly, this is very filling, too! A little bit goes a long way, and it helps curb my typical mid-morning cravings. 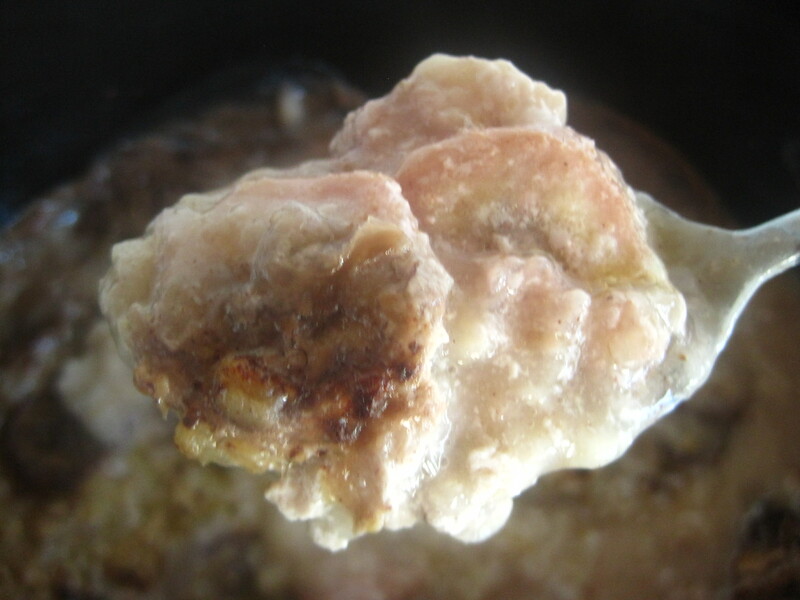 Spray your slow cooker with cooking spray so the oatmeal doesn’t stick. Add all your ingredients and stir. Set your slow cooker on low and go enjoy a long, restful night of sleep – the oatmeal takes at least 7-8 hours. 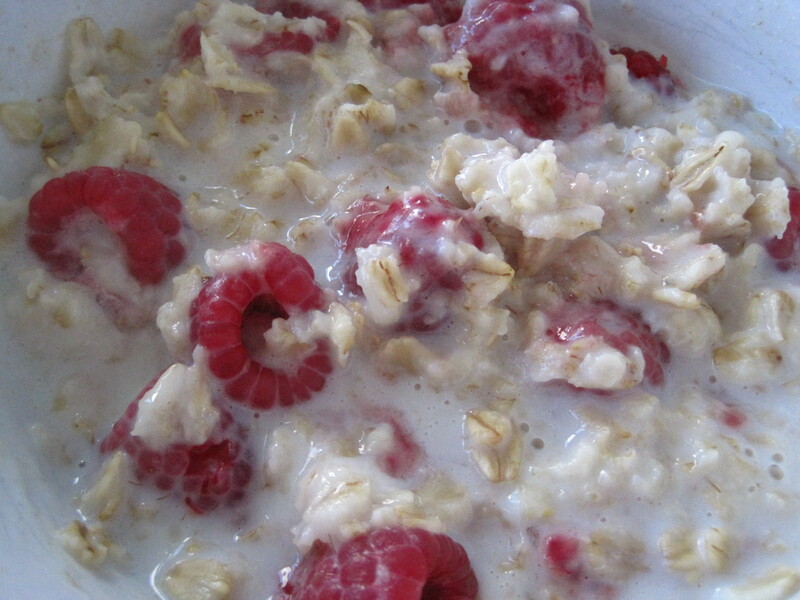 I was a little worried about it being too runny at first, but my fears were assuaged when I woke up to creamy oatmeal. When you wake up in the morning, your oatmeal will be ready to go. Look at those caramelized bananas. Such a sweet morning treat! Scoop into a bowl, add any toppings that suit your fancy (but don’t add sugar or syrup, this is already really sweet), and enjoy! All for about 250 calories. 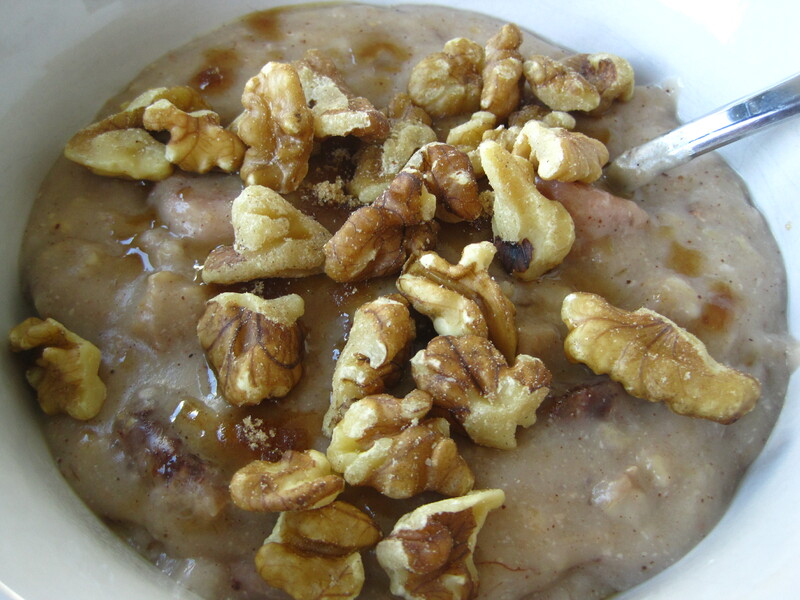 I added walnuts to the top of my oatmeal for a little texture (and because I had extras in my cupboard!). Pecans or raisins would also be a delicious addition.